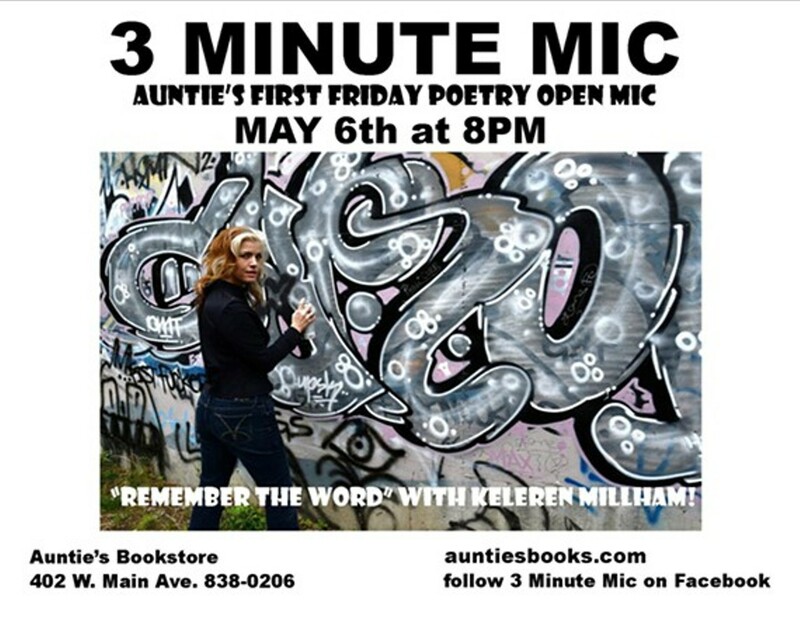 Auntie's first Friday poetry open mic continues with Remember the Word featured reader Keleren Millham. Open mic readers can share up to 3 minutes' worth of poetry. Spokane Poetry Slam commissioner Isaac Grambo is the guest host. Free and open to all, though this is a free speech event, so content is not censored.